Come check out this show! 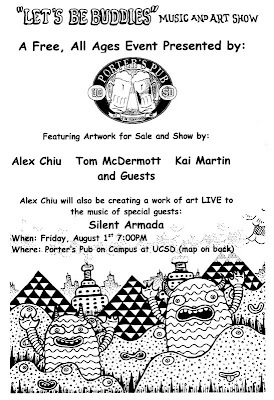 Fridays, August 1st 7-10PM at Porter's Pub, UC San Diego. Check out some art, listen to live music, sip on a beer!